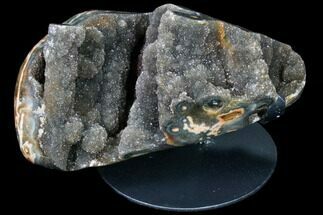 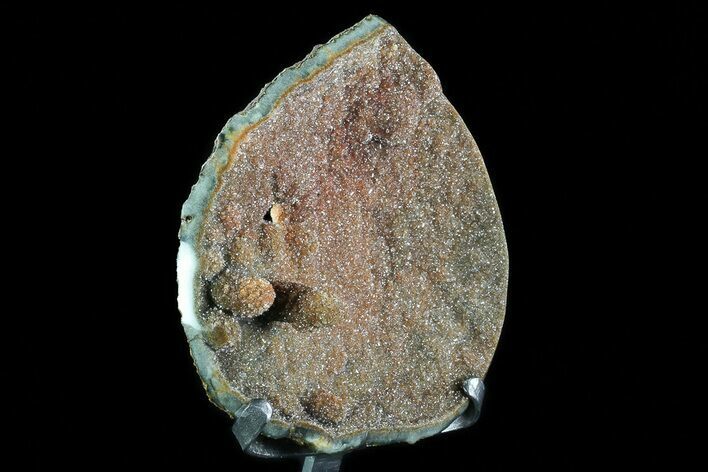 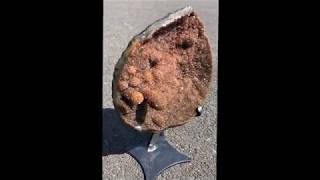 This is a beautiful, sparkling plate of natural, dark orange druzy quartz mined Artigas, Uruguay. 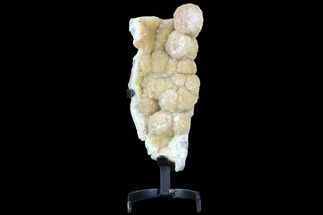 It comes from the same mines as the dark Amethyst that this area is renowned for, but these orange crystal pockets are a much rarer find. 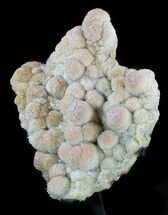 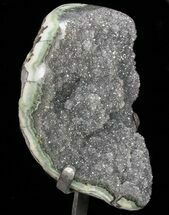 This specimen also has two notable "stalactite" formations with several smaller ones. 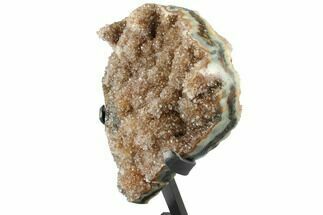 The sides of the specimen have been polished, leaving a beautiful agate "rind" and it comes with a custom-made metal display stand.